Though each delegate to the American Legion Jersey Boys State program is sponsored by their local American Legion post, the New Jersey Boys State Foundation was independently formed by Boys State's volunteer staff members for the betterment of the program. 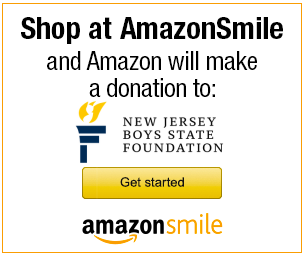 The New Jersey Boys State Foundation has been approved as a 501(c)(3) charitable not-for-profit organization. The goal of the Foundation is to continuously improve the top-quality educational experience that Boys State currently provides for its participants. Additionally, the Foundation is building an endowment for the benefit of the American Legion Jersey Boys State program and seeks to enhance the program and its curriculum by way of technology, the offering of scholarships, bolstering the Keynote speaker program and ensuring the financial stability of Jersey Boys State well into the future. Click the link above to learn how you can help the program, including ways to donate to our tuition free program.